eXerterp sets up and organizes core turn-around in a process in sync with technology, resources and possessions of an enterprise. 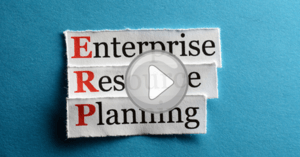 Automation of enterprise operation with eXerterp adds value in terms of result enhancements. eXerterp is a suite of web based applications including CRM Software - Customer Relationship Management, Human Resource Management, Financial Accounting System, Supply Chain Management, Point of Sale, Property Management System and Construction Project Management. The application critical approach enables eXerterp to automate at grass root level, back-office, intermediary level, administration level, managerial levels and at stakeholder level. eXerterp offers enormous controls at each point of hierarchy with clarity and authority including eXert CRM Software that helps you manage customer related information. eXerterp believes in business activity wise best alternative modelling for a successful post deployment review. eXerterp increases efficiency and decreases processing time thereby helping your enterprise to achieve higher productivity. eXert meets); ?> EXact EXpectations on demand.